Kirkland, WA NetAcquire Corporation, formerly Real Time Integration, Inc., announced today NetAcquire Publish/Subscribe, a real-time publish/subscribe communications middleware product that offers dramatic improvements in ease-of-use, performance, and cost. 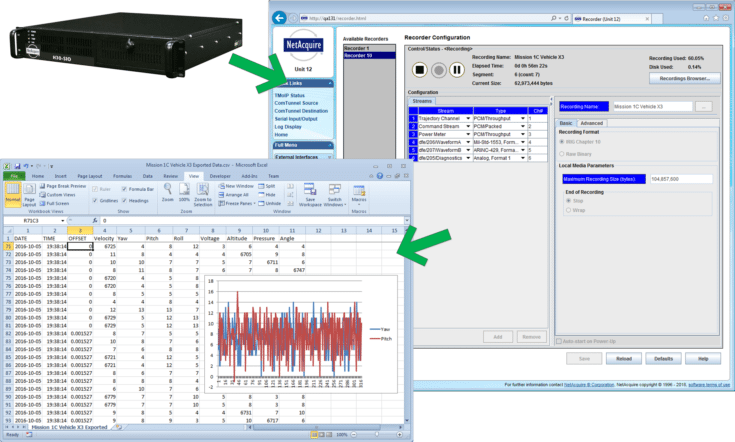 NetAcquire Publish/Subscribe allows NetAcquire server hardware to publish data readings acquired from real-world analog, digital, and serial signals. The published data travels over a regular network to one or more subscribing computers. NetAcquire Publish/Subscribe greatly reduces the effort necessary to create distributed applications since it takes only a single command to subscribe to data. Data sources are identified by user-friendly, configurable names, so data subscribers need not know any details of the underlying network communications. Complete data subscriber applications can be created in less than five executable lines of C, C++, or Java. Also included is JavaBeans support the JavaBeans environment allows drag-and-drop development of data subscriber applications without programming. NetAcquire Publish/Subscribe is designed for high-performance real-time applications. Data throughput is far in excess of most middleware, supporting data update rates of hundreds of thousands of events per second. Also important for real-time applications is low latency: short time delays between publishing of data and reception of data. NetAcquire Publish/Subscribe reduces latency by avoiding unnecessary data buffering and by using real-time network protocols. NetAcquire Publish/Subscribe has applications wherever real-time measurement data must be efficiently distributed over a network, including factory automation, satellite telemetry processing, remote Internet monitoring, and laboratory testing.